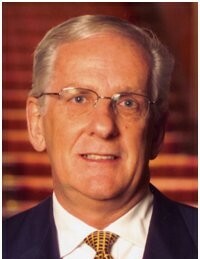 Dr Roger Collins is Professor Emeritus at the University of NSW and Deputy Chairman of Inenco. He also served as Foundation Chairman of the Board of Grant Thornton Australia and oversaw the integration of GTAL as a national accounting firm and then the integration of partners and staff of BDO NSW and Victoria. His academic career is complemented by earlier experience in the private sector, the armed services, the public sector and in tertiary education. Professor Collins has degrees from the University of New South Wales (in applied psychology), and from Macquarie University (in management). – and factors influencing career and life success. Roger has a special interest in the application of the Positive Psychology to organizational contexts. He has co-authored and edited a number of books, including Australia’s best selling text “Management in Australia” and recently held visiting appointments at Cambridge University and the Indian School of Business in Hyderabad. Professor Collins’ consulting practice is in four areas: working with CEOs and executive teams on the formulation and implementation of strategy, enhancing the performance of executive teams, assisting managers to develop plans and skills for the strategic management of their workforce, and developing the contribution of the human resource function. His experience spans the private sector in professional service organisations, utilities and the financial services, high technology, airline, computer and communications industries. His clients include: Henry Schein Halas, Provet, Freehills, Gilbert + Tobin, Westfield, BHPbilliton, Oracle, Rio Tinto, Saudi Aramco, Cadbury, Thales, Dupont, and Wesfarmers. He is a member of the American Academy of Management and was the inaugural Chairman of the judging panels for both Australia’s and Asia’s Best Employers’ awards from 1998 until 2010. Roger Collins is a regular contributor to national and international management conferences and is a faculty member on a number of Australian and Asian executive development programs. He has twice received the Alumni prize for Outstanding Contribution to Teaching at AGSM and was awarded the Vice Chancellor’s Award for Teaching Excellence. In January 2004 he was appointed as a Member in the General Division of the Order of Australia for his services to teaching and was awarded the Australian Human Resources Award for Career Long Achievement in HR in 2005.